Maternity Clothes: All of my clothes are now maternity, except my scrubs for work. Best Moment this week: Getting to see him in 4D with my mom and sister there and really getting a good peak at some of his features. 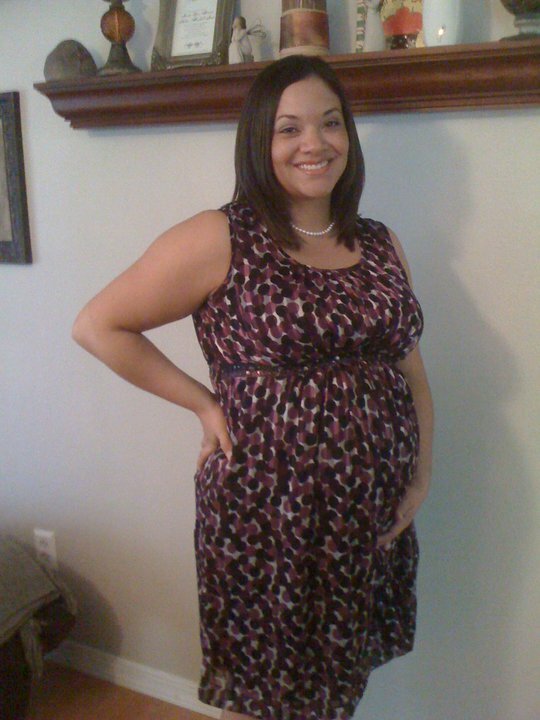 Also, the baby shower that my sweet church family threw for me. Movement: Yes. All the time. He's an active baby, which is so reassuring and yet painful at times, since he seems to kick and punch a little harder than he used to. 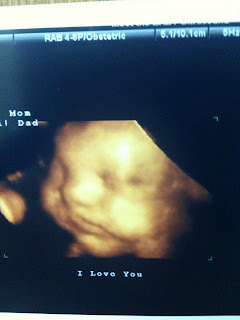 I love that you can now look at my stomach and see him wiggling around in there. It's definitely my favorite part. What I am looking forward to: Thanksgiving at "Aunt Barbara's" in North Carolina and having the chance to rest. This is Jackson and I's last trip alone before the baby makes his arrival. Symptoms: The swelling is getting pretty bad. I went to my OB appointment last week and she was a little concerned about how much I was swelling, even though my blood pressure is ok for now. She's worried that if I keep swelling like this I'll start to have some trouble with it. I did have to do some urine and blood tests two days ago and I'm praying everything will be ok. In the meantime, I'm trying to take it easy and rest with my feet up as much as possible. I'm so thankful that I have a sweet husband who takes great care of me. Time has been flying by and I can't believe that my little man will be here is less than 2 months! 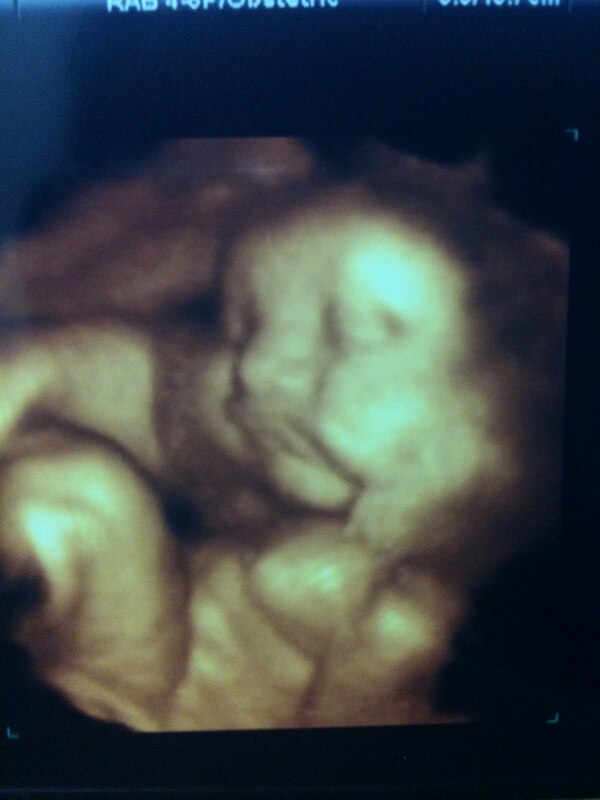 I can't wait to meet him but we sure have a lot to do before that happens! I've got a few posts to do on my recent baby showers and I'm planning on using my vacation time this week to do that. In the meantime, here are a few of the 4D pictures from our ultrasound last weekend! He already has the chubbiest cheeks! I'm thinking he has daddy's pout! Thanks for checkin in. Baby shower pictures and post will be up later this week!